It wasn’t all hardware for Microsoft at its major event late last night, the company announced the October 2018 update for Windows 10, which has already started rolling out. 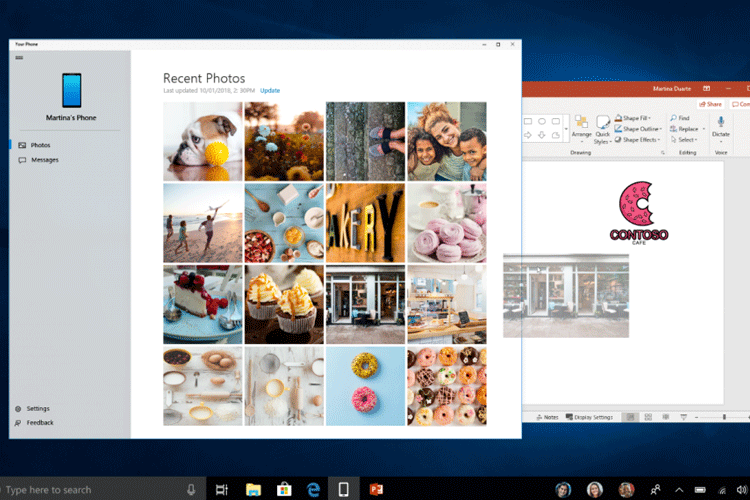 As part of the Windows 10 October 2018 Update, Microsoft has announced an amazing new update to the Your Phone app. Your Phone will soon be able to mirror any Android app or game from your phone to your Windows PC. Obviously, there are some restrictions: you need to have an Android 7.0 + device and the latest version of Windows 10, so if you use an iPhone with your Windows PC, you are out of luck. Screen mirroring means Your Phone will show your smartphone’s display, including notifications, any apps or games running on it, to the Windows 10 desktop in real-time with some latency, choppiness in videos or games, or delay as is expected in mirroring. You can even launch apps and switch to apps from the PC, which is something many mirroring apps also let you do, but having an official Microsoft alternative is definitely handy. It may not be the best way to use apps to watch video, but you can use it for email or social media without a hitch. Unfortunately, you will have to wait to use it. Screen Mirroring is not coming to Windows 10 with the October 2018 update, but will be added with a future update. As of now, Your Phone has become part of the standard Windows 10 package and will be shipped with the October 2018 update, so you can expect screen mirroring to come soon too.